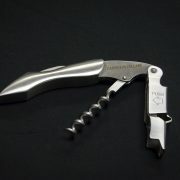 Delux Sommeliers wine key. 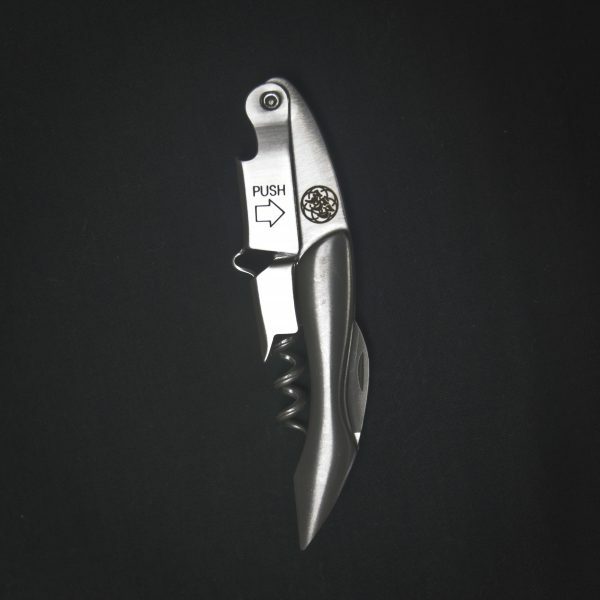 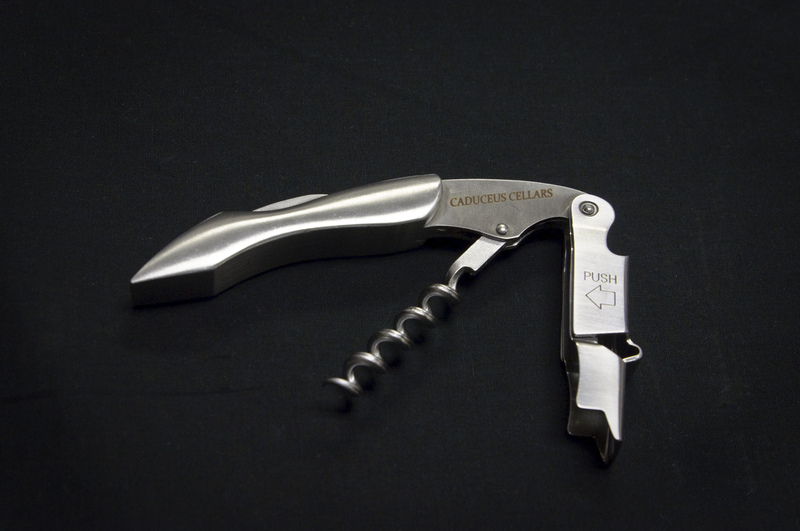 Durable Stainless Steel, Double-hinged fulcrum for extra leverage and smoother pulling, serrated foil cutter, bottle cap opener. 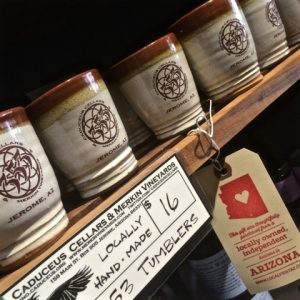 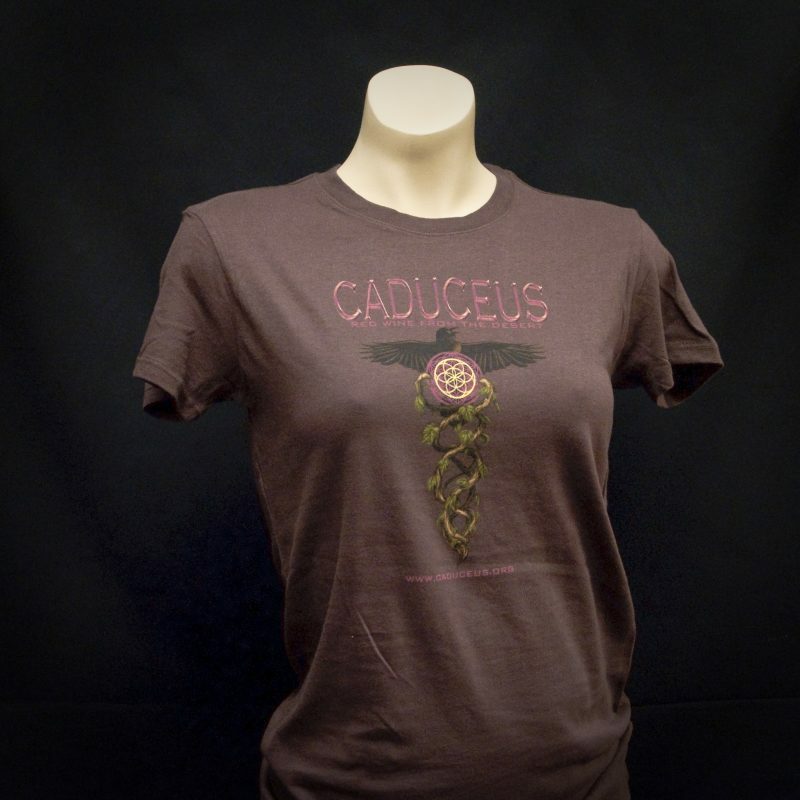 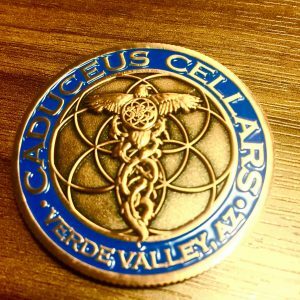 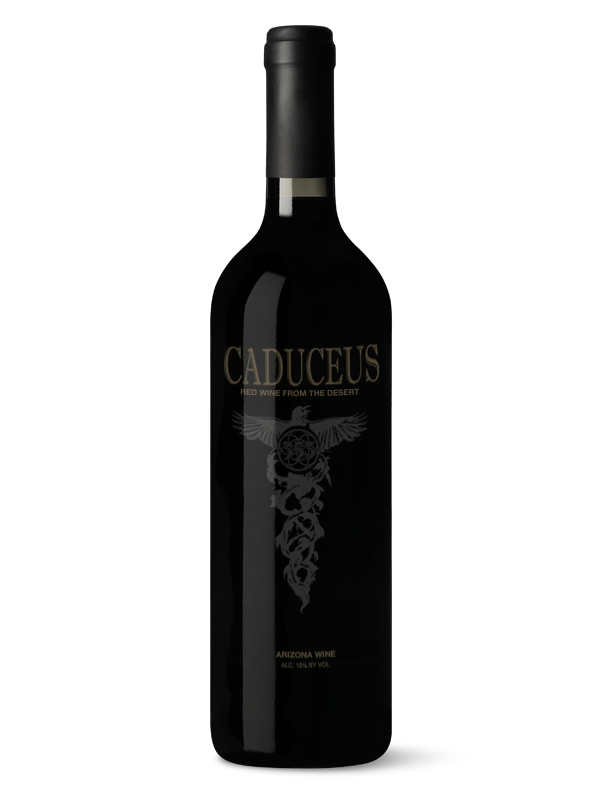 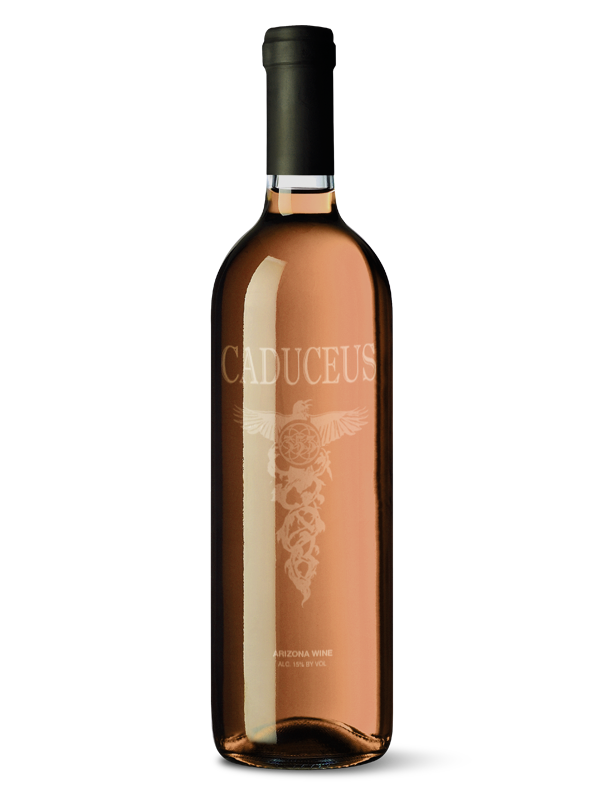 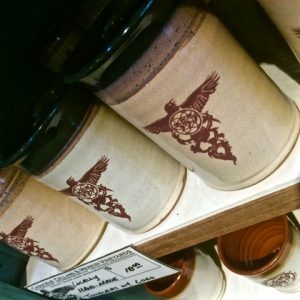 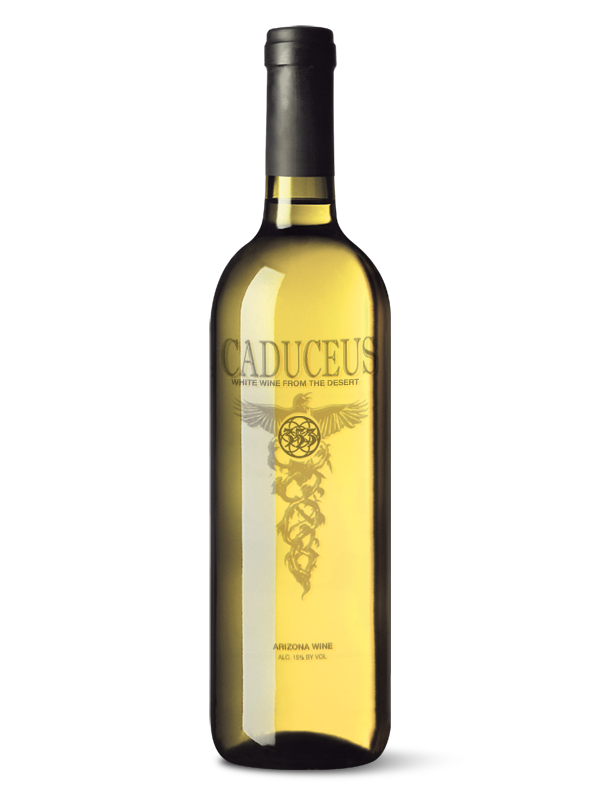 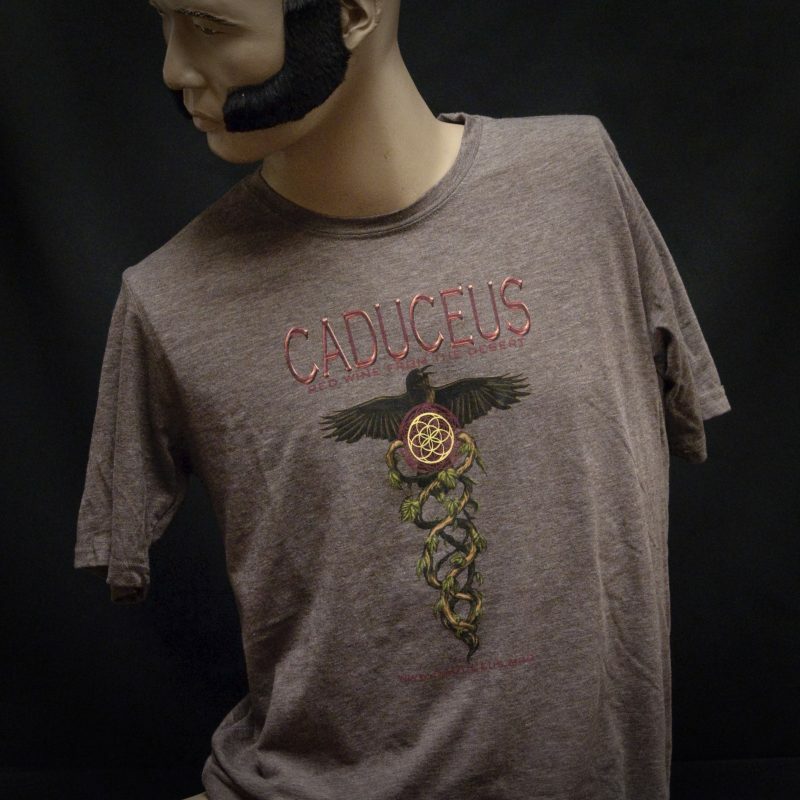 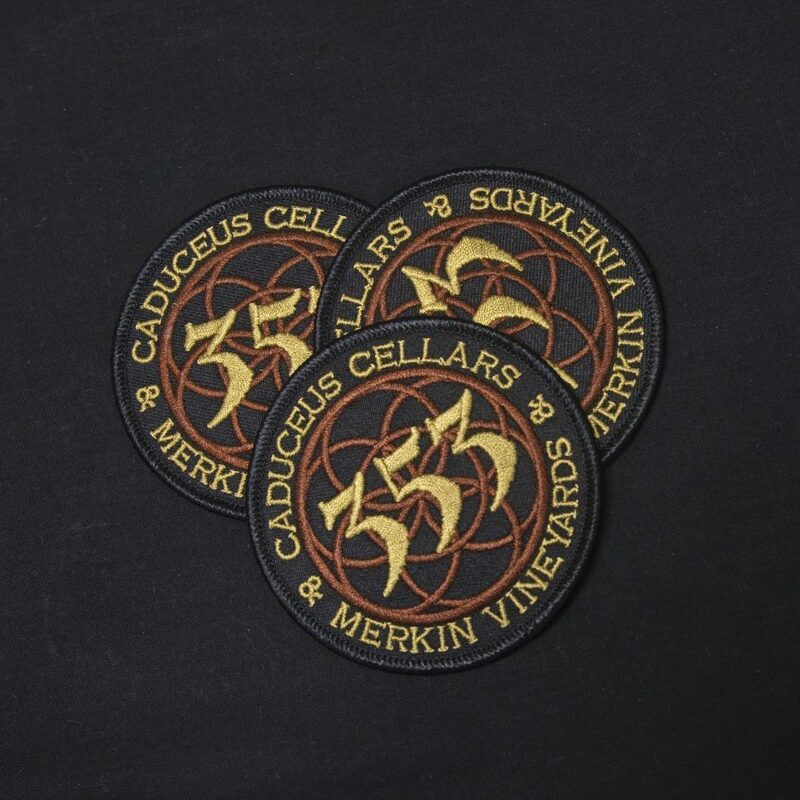 Caduceus Cellars and Merkin Vineyards Logo.